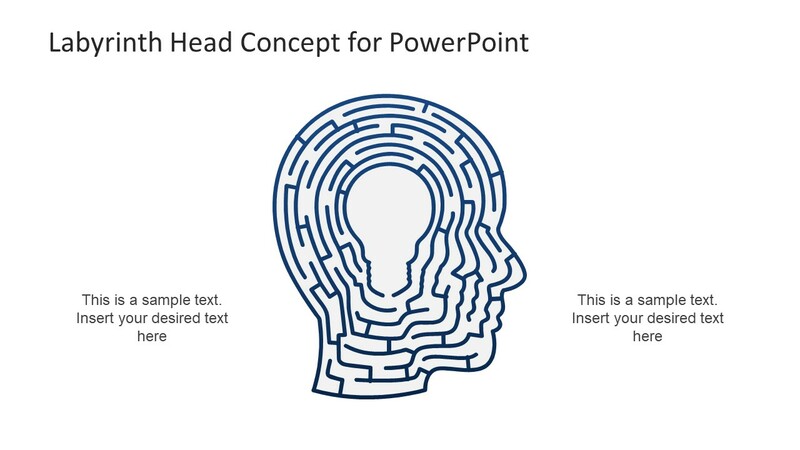 The Labyrinth Head Concept PowerPoint Template is creative presentation of maze design. This is the unique pattern of paths which has been around for centuries. However, such maze and labyrinth patterns have been adapt by video game industries for countless game features. Most of these games include mind twisting, brainy games like finding the path and decision making. Therefore, this incredible template of various labyrinth depicts the creative decision making and problem solving concepts. 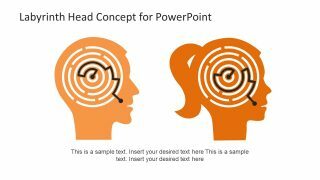 This PowerPoint has the beautiful shapes of human head silhouette and more with the labyrinth pattern. The light bulb inside the maze is demonstrating the brain storming and reaching to the root cause or solution. 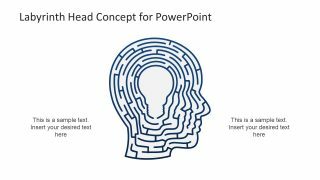 The Editable Labyrinth Head Concept PowerPoint Template is the deck of 6 amazing slides as a collection of PowerPoint shapes. 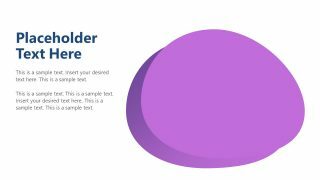 Hence, it is easier to customize the elements of template. 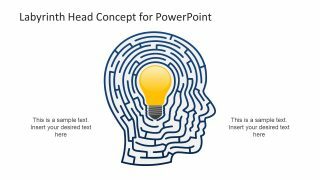 For example, alter the colors of silhouette human head clipart from shape fill option or the labyrinth patter and path. 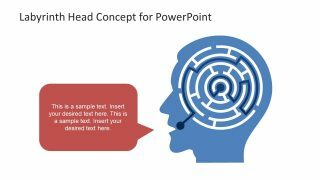 The use of interactive colors in the presentation can help make the visual content more interactive. Further, the game structure of slides gives a new and modern look to the presentation. There are silhouette human heads with the connecting path and the labyrinth with brain to mouth path. These can help display powerful messages like alike views about certain ideas or thought processing. 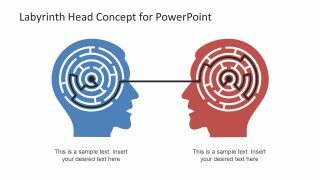 The maze design of an outstanding PowerPoint present unique concept template of labyrinth silhouette head cliparts. 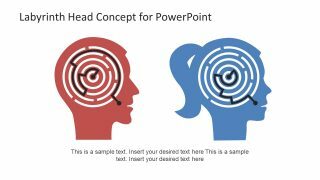 The exclusive template will draw more audience interaction by showcasing innovative labyrinth pattern head clipart. 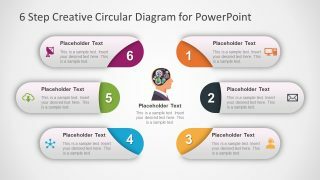 This PowerPoint can benefit many professionals in number of fields to display their ideas and solutions. 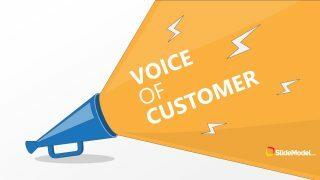 Such as, identify technical issue by root cause analysis in business or display the mental health related scenarios. Moreover, create interesting presentation on financial investment, money and e-commerce. 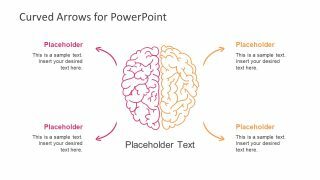 The users can select separate slides or figures from template and copy them to personalize the slideshow.